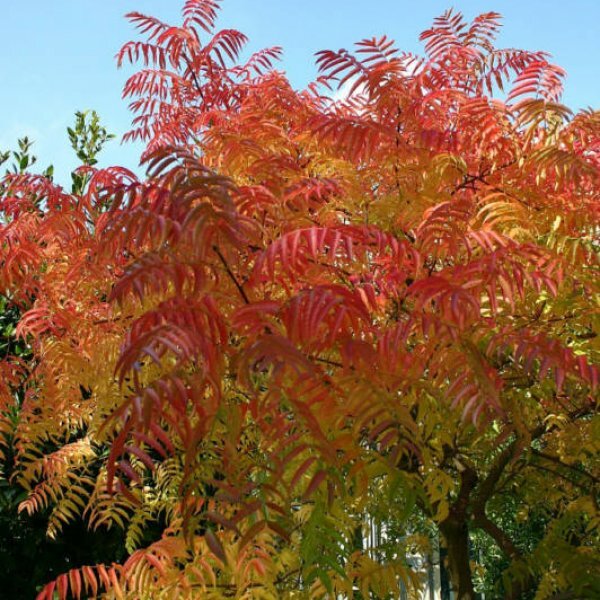 Prized for its brilliant fall foliage that colors reliably even in mild or desert climes, this Chinese native gradually forms a broad, rounded, medium-size tree. 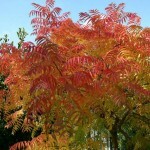 Handsome and healthy from spring through autumn, the large compound deciduous leaves have 4 to 8 pairs of glossy lance-shaped leaflets with smooth edges. 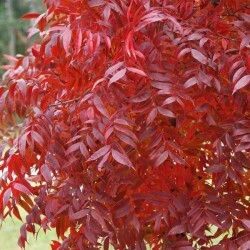 The leaves turn intense shades of pink, orange, or red in fall. Bruised leaves emit a strong odor. Clusters of inconspicuous green to reddish flowers appear along the gray-barked branches in early spring, before the leaves flush. 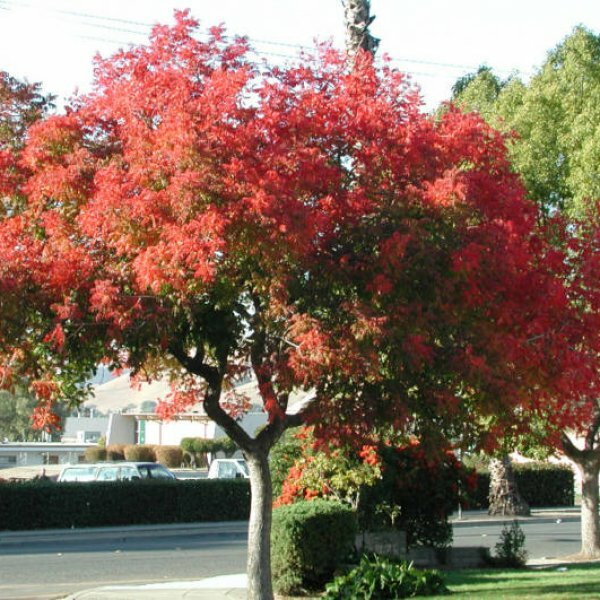 Each tree bears only male or female flowers. Flowers on female trees give rise to small hard inedible fruits that turn from green to pink to red before ripening blue-black in fall. The fallen fruits can pose a problem, as can the seedlings that follow. 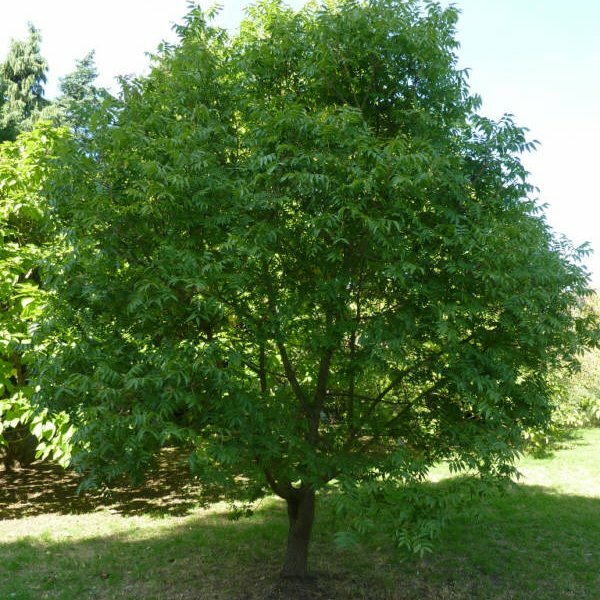 Chinese pistachio succeeds in most well-drained soils in full sun, and tolerates heat and drought. Its domed canopy and attractive gray bark make it a good shade or street tree, although female specimens can produce messy litter and invasive seedlings. It is often shrubby when young, requiring pruning to maintain a single trunk and a good branching structure. Plants offered for sale are usually seedlings, which can vary widely in color. Germination 1. Moisten a handful of peat moss until it is dripping. Squeeze the peat moss until most of the water drains from it and it is just slightly moist. You may need to allow it to sit for an hour until it dries a bit. 2. Insert the pistachio seed into the peat moss until it is completely enveloped. Place it in the sandwich bag and then into the refrigerator. Allow it to sit for 45 days. 3. Combine equal parts of perlite and peat moss and moisten it until it is uniformly wet. Scoop it into a nursery pot. 4. Remove the pistachio seed from the refrigerator and push it 1-inch into the planting medium in the pot. Place the pot on a heat mat, and set the heat to 80 degrees Fahrenheit. Place the pot in an area with bright light but not direct sun. Keep the soil moist by spraying it occasionally with water in a plant misting bottle. 5. Transplant the pistachio seedling when it has four sets of leaves. Use the next size larger pot filled with equal parts of potting soil, coarse sand and peat moss. Place it in a lightly shaded area and water it when the top 1 inch of soil is dry. 6. Check the bottom of the nursery pot periodically for any signs of roots. When you see them, transplant the pistachio seedling into a 1-gallon pot, with the same soil mixture.